Charcoal heightened with White on green-grey paper. 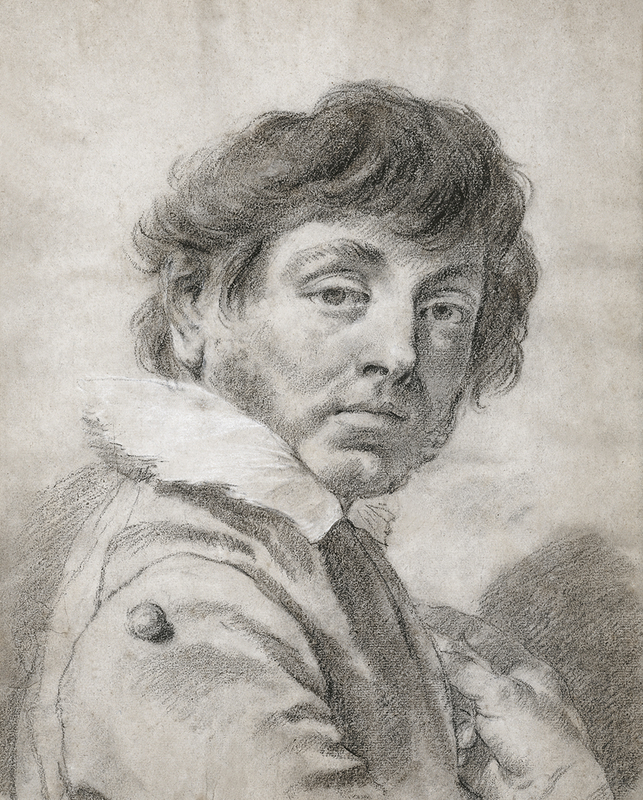 This Self-portrait by Piazzetta is one of the few drawings in the collection of the Museo Thyssen-Bornemisza. It entered the Villa Favorita in 1970 from the art market and seems to have previously been in a Paris collection. The drawing was made known to the public at the time of an exhibition held at the L’Oeil gallery, and was reproduced in the accompanying catalogue. One year later it was the subject of comment by Pallucchini who included it in an article on various aspects of the artist and his work. It was again published by Mariuz in 1982, who entitled it Portrait of a young Man. It then disappeared from the literature on Piazzetta until Roberto Contini included it in his catalogue of 17th- and 18th-century Italian paintings in the Museum’s collection. Piazzetta’s charcoal drawing seems to depict the artist when he was in his twenties, i.e. younger than he really was at the time when he executed the drawing. With his body in profile, bust-length, he turns his head towards the viewer, looking out with a fixed, rather indifferent gaze. Piazzetta also included part of his right hand, whose fingers rest on his chest. Depicting himself with a certain degree of idealisation, Piazzetta has drawn himself with thick, wavy hair, broad, thick eyebrows and large eyes. The wide collar constitutes a striking element, emphasised with touches of leadwhite to highlight its whiteness, while the artist has a small decorative ornament sewn onto the upper part of his right sleeve. Piazzetta used the charcoal with force in important areas such as the front of the jacket and the left half of his face, which is energetically and intensely shaded. He defined the forms with a precise, almost continuous line, reinforcing important areas such as the left profile of the face in order to separate it from the tangle of hair surrounding it. 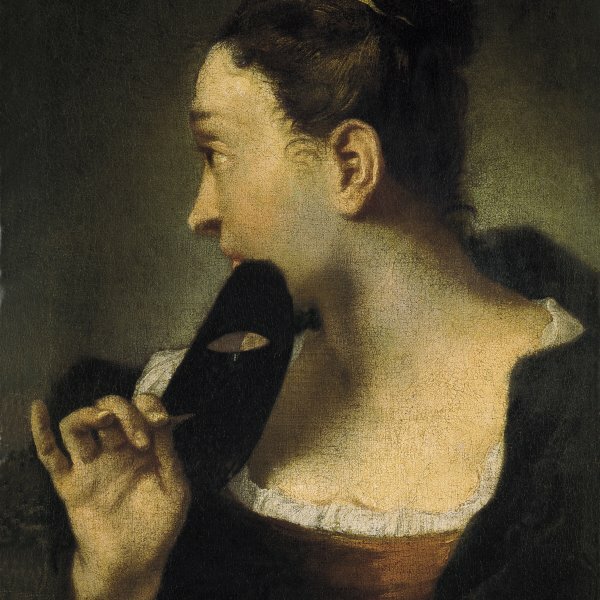 Other self-portraits by Piazzetta are known and have been compared with the present drawing. One of the most powerful is a painting in a private Venetian collection in which the artist poses in a similar manner to this one, although using a lower angle of vision. Leaving aside details such as the clothes, the inclusion of a hat in the painting or the position of the hand, these two images are similar. The same model, with slight variations, is also to be seen in a painting that involves workshop participation in which Piazzetta depicts himself as older (Museo Ca’Rezzonico in Venice). Between the two Venetian paintings are two further drawings in Windsor Castle and the Albertina. 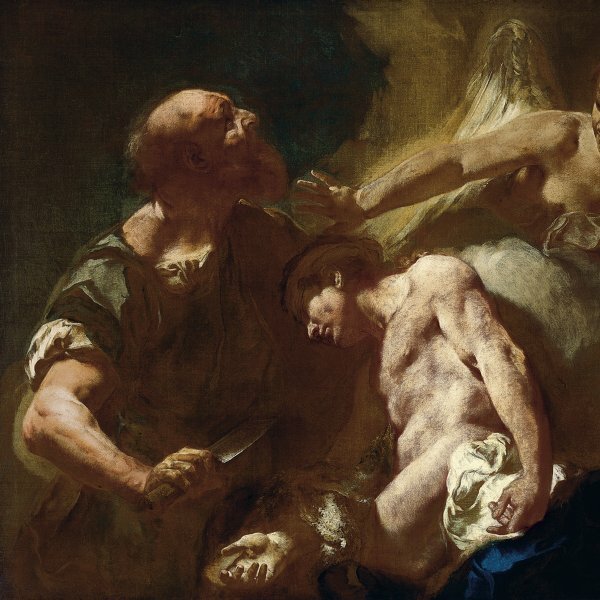 Piazzetta also used his image for other figures in his compositions, such as the executioner of Saint John the Baptist in the painting now in the Museo Antoniano in Padua, and a Dominican monk in the chapel of the Sacramento in San Zanipolo, Venice. The present drawing, however, is closer to one that depicts Saint Thaddeus, in a private collection, and to a print of the same saint by Marco Pitteri.